Home > Wedding Blog > Articles | Supplier Spotlight | Wedding Dresses > The Amazing Dress that Suits Every Bridesmaid! 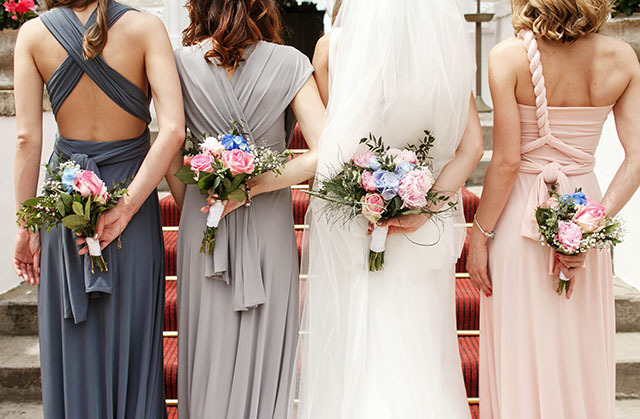 If you’re living in the UAE, the chances are your bridesmaids (who you’ve known were going to be your bridesmaids for years – long before you even met your husband to be!) aren’t living here. It’s more likely the case those special ladies in your life are back in your home country. Or worse, one is back at home, one is in Australia and one is living the dream in NYC. Amazing for them…but bit of a nightmare for you when it comes to arranging their dresses. Unless you want to use your precious annual leave days to trek to each of them to find a dress and then again to have the fitting and then again to collect the dress – which we all know you don’t because you’re saving all of your holiday days for your pre-moon and honeymoon – you might be wondering how this task on your mammoth ‘wedding to do list’ is going to get ticked off. Or…you might have already spent hours on Pinterest pinning dresses that would look fab on *insert bridesmaid’s name here…but look awful on your other two/three/four maids and then found yourself back at square one. That’s why The Dress from Dee’s Boutique is so great. One size fits everyone (really! It comes in size 8 – 18 or can be made to order), it looks fabulous on everyone, it comes in almost one hundred different colours, it’s available in either short or long and, this is where it gets even better, it can be worn in 30 different ways. It’s basically the perfect Bridesmaid’s dress! Sleeveless, capped sleeve, halter neck, asymmetrical, bandeau…you can have all of your lovely ladies looking the same, or style the dress so it flatters each of them differently. It’s available in child sizes too, so the whole bridal party can slip into The Dress, feel and look fab. Dee’s Boutique is amazing at making life easier for Bride’s. As well as taking care of the Bridesmaid dress woes, it also has wedding shoe worries covered. While the UAE’s many wonderful outdoor wedding venues are fantastic on the eye… that grass, sand and decking underfoot aren’t so amazing on your gorgeous wedding shoes. 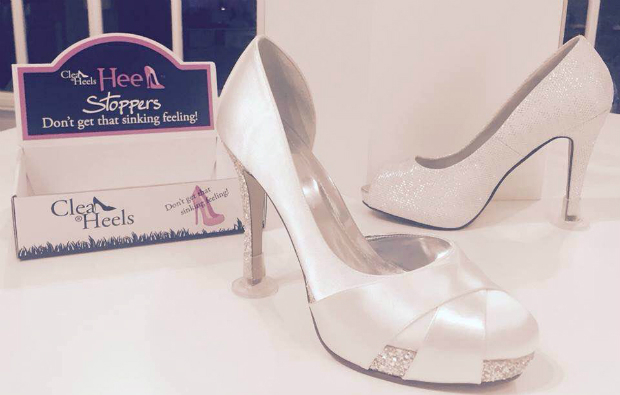 Dee’s Boutique have incredible little things called Clean Heels Heel Stoppers, which are flexible heel protectors for stiletto heels. You simply pop them over your heels and your heels are instantly protected. Goodbye sinking and getting stuck in grooves. Perfect. They are available in Clear, Black, Rose Flowers (in either black or white) and crystal designs and prices start from US $8. If you are having an outdoor wedding, pop the Heel Stoppers in a basket or pot at the entrance and offer them as gifts to your female guests. They will love you…more than they do already…and more than if you gifted them flip flops (instant outfit killers). Prices for The Dress is AED500 for adult sizes and is also available for children. Order them online at Dee’s Boutique. Sonja is our UAE Editor and a bride-to be! 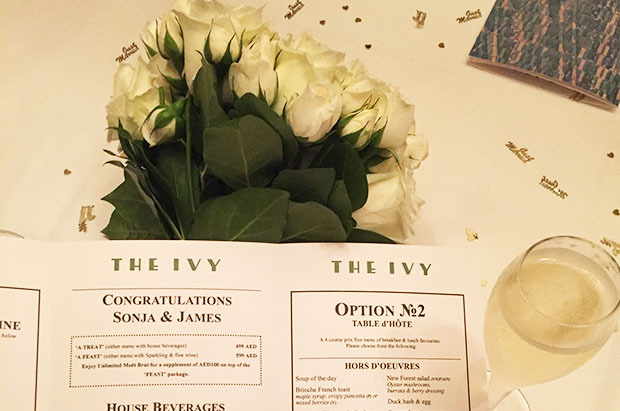 An ex-magazine Editor and Showbiz Columnist, Sonja has swapped her love of celebrity gossip for stylish wedding loveliness. From rustic to vintage, beach to ballroom she is constantly searching for fabulous inspiration to share. Mix & Match Bridesmaid Dresses | How To Get It Right! Our Editor Sonja Gets Married!